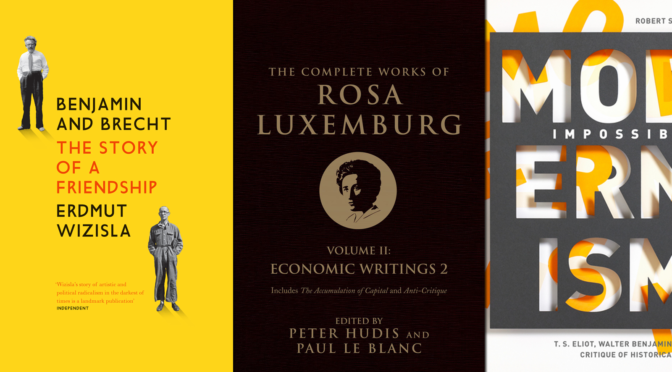 If you’re a publisher or an author with a forthcoming books, send us a line at tips@critical-theory.com. Were the thirteen essays Michel Foucault wrote in 1978–1979 endorsing the Iranian Revolution an aberration of his earlier work or an inevitable pitfall of his stance on Enlightenment rationality, as critics have long alleged? Behrooz Ghamari-Tabrizi argues that the critics are wrong. He declares that Foucault recognized that Iranians were at a threshold and were considering if it were possible to think of dignity, justice, and liberty outside the cognitive maps and principles of the European Enlightenment. 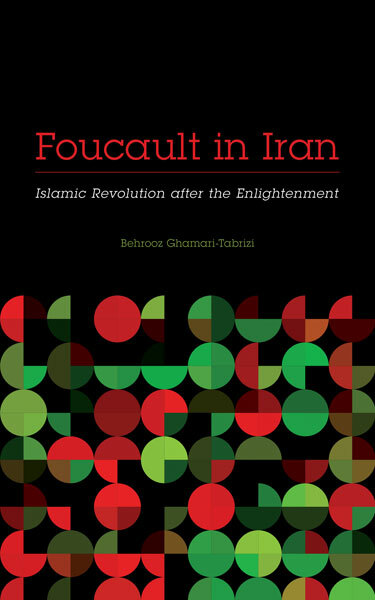 Foucault in Iran centers not only on the significance of the great thinker’s writings on the revolution but also on the profound mark the event left on his later lectures on ethics, spirituality, and fearless speech. Contemporary events since 9/11, the War on Terror, and the Arab Uprisings have made Foucault’s essays on the Iranian Revolution more relevant than ever. Ghamari-Tabrizi illustrates how Foucault saw in the revolution an instance of his antiteleological philosophy: here was an event that did not fit into the normative progressive discourses of history. What attracted him to the Iranian Revolution was precisely its ambiguity. On the 27th August, 1963, the day before Martin Luther King electrified the world from the steps of the Lincoln Memorial with the immortal words, “I Have a Dream”, the life of another giant of the Civil Rights movement quietly drew to a close in Accra, Ghana. 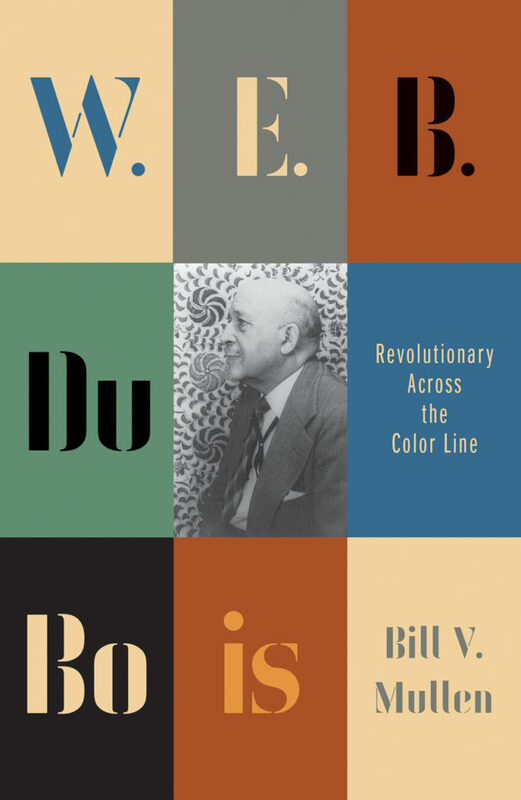 In this new biography, Bill V. Mullen interprets the seismic political developments of the Twentieth Century through the revolutionary life of W.E.B. 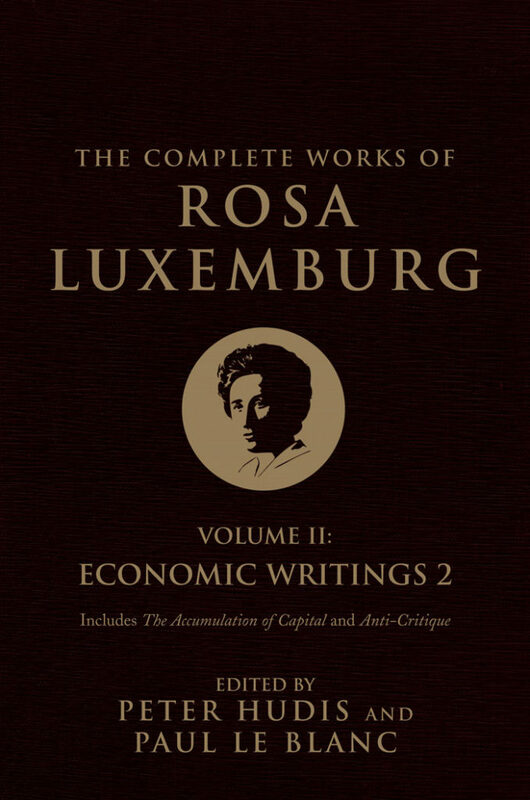 Du Bois – focusing not just on his Civil Rights work, but also examining Du Bois’s attitudes towards socialism, the USSR, China’s Communist Revolution, and the relationship between capitalism, poverty and racism. Despite — and perhaps because of — increasing global mobility, there are more types of borders today than ever before in history. Borders of all kinds define every aspect of social life in the twenty-first century. From the biometric data that divides the smallest aspects of our bodies to the aerial drones that patrol the immense expanse of our domestic and international airspace, we are defined by borders. They can no longer simply be understood as the geographical divisions between nation-states. Today, their form and function has become too complex, too hybrid. What we need now is a theory of the border that can make sense of this hybridity across multiple domains of social life. 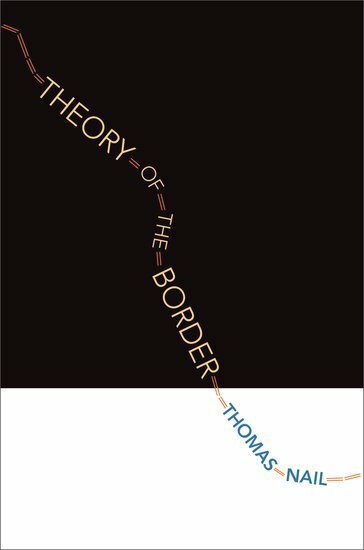 Rather than viewing borders as the result or outcome of pre-established social entities like states, Thomas Nail reinterprets social history from the perspective of the continual and constitutive movement of the borders that organize and divide society in the first place. 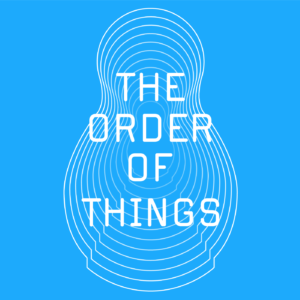 Societies and states are the products of bordering, Nail argues, not the other way around. Applying his original movement-oriented theoretical framework “kinopolitics” to several major historical border regimes (fences, walls, cells, and checkpoints), Theory of the Border pioneers a new methodology of “critical limology,” that provides fresh tools for the analysis of contemporary border politics. Buy it here. Read a preview here. Germany in the mid 1920s, a place and time of looming turmoil, brought together Walter Benjamin—acclaimed critic and extraordinary literary theorist—and Bertolt Brecht, one of the twentieth century’s most influential playwrights. It was a friendship that would shape their writing for the rest of their lives. In this groundbreaking work, Erdmut Wizisla explores what this relationship meant for them personally and professionally, as well as the effect it had on those around them. 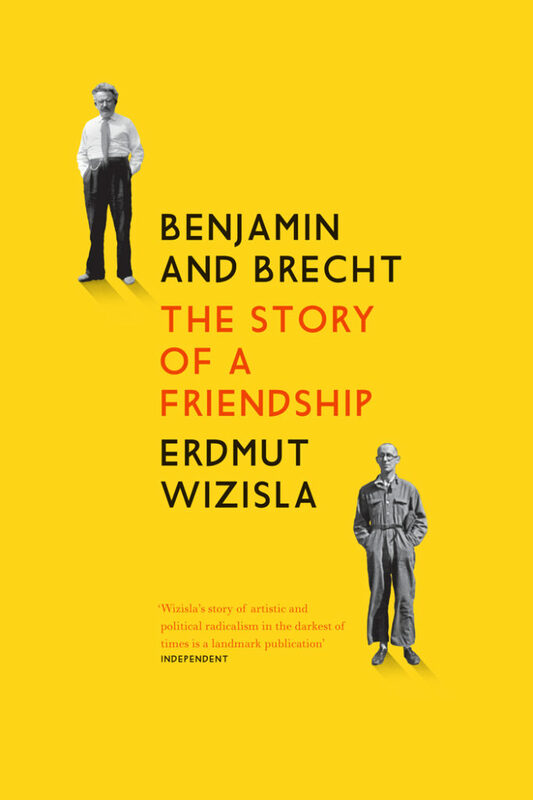 From the first meeting between Benjamin and Brecht to their experiences in exile, these eventful lives are illuminated by personal correspondence, journal entries and private miscellany—including previously unpublished materials—detailing the friends’ electric discussions of their collaboration. Wizisla delves into the archives of other luminaries in the distinguished constellation of writers and artists in Weimar Germany, which included Margarete Steffin, Theodor Adorno, Ernst Bloch and Hannah Arendt. Wizisla’s account of this friendship opens a window on nearly two decades of European intellectual life. 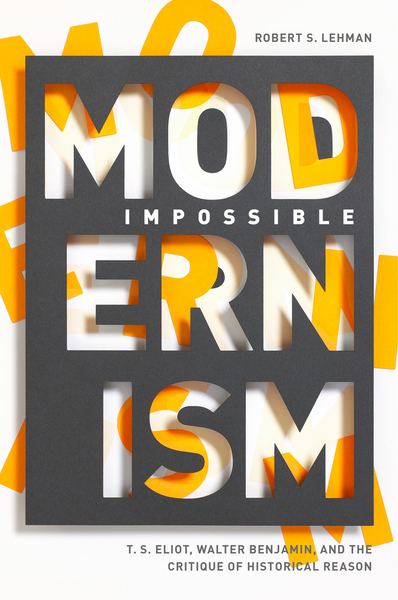 Impossible Modernism reads the writings of German philosopher and critic Walter Benjamin (1892–1940) and Anglo-American poet and critic T. S. Eliot (1888–1965) to examine the relationship between literary and historical form during the modernist period. It focuses particularly on how they both resisted the forms of narration established by nineteenth-century academic historians and turned instead to traditional literary devices—lyric, satire, anecdote, and allegory—to reimagine the forms that historical representation might take. Tracing the fraught relationship between poetry and history back to Aristotle’s Poetics and forward to Nietzsche’s Untimely Meditations, Robert S. Lehman establishes the coordinates of the intellectual-historical problem that Eliot and Benjamin inherited and offers an analysis of how they grappled with this legacy in their major works. Raymond Chandler, a dazzling stylist and portrayer of American life, holds a unique place in literary history, straddling both pulp fiction and modernism. WithThe Big Sleep, published in 1939, he left an indelible imprint on the detective novel. 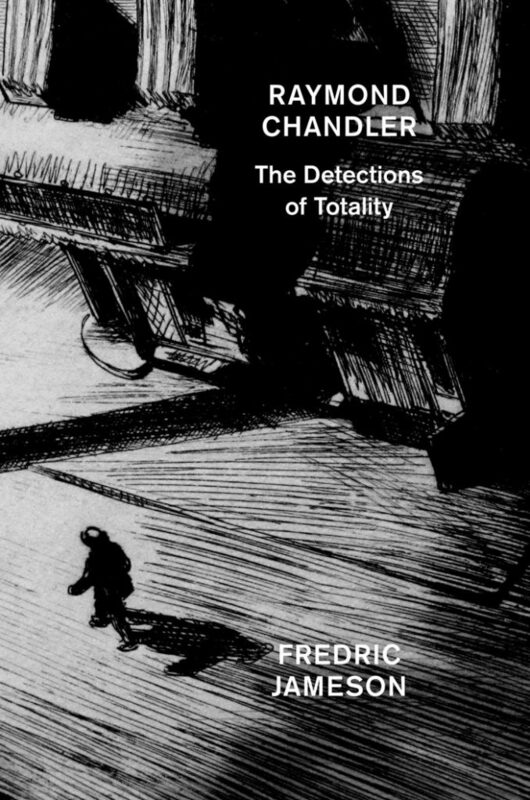 Fredric Jameson offers an interpretation of Chandler’s work that reconstructs both the context in which it was written and the social world or totality it projects. Chandler’s invariable setting, Los Angeles, appears both as a microcosm of the United States and a prefiguration of its future: a megalopolis uniquely distributed by an unpromising nature into a variety of distinct neighborhoods and private worlds. But this essentially urban and spatial work seems also to be drawn towards a vacuum, an absence that is nothing other than death. With Chandler, the thriller genre becomes metaphysical. Even after the 2008 financial crisis, neoliberalism has been able to advance its program of privatization and deregulation. The Uberfication of the Universityanalyzes the emergence of the sharing economy—an economy that has little to do with sharing access to good and services and everything to do with selling this access—and the companies behind it: LinkedIn, Uber, and Airbnb. In this society, we all are encouraged to become microentrepreneurs of the self, acting as if we are our own precarious freelance enterprises at a time when we are being steadily deprived of employment rights, public services, and welfare support. The book considers the contemporary university, itself subject to such entrepreneurial practices, as one polemical site for the affirmative disruption of this model.